We want everyone to do what they’re good at. This is why our group counts 25 professionals. Depending on the assignment we work together with: trainers, journalist, strategic-advisers, camera crew, reporters, voice therapists, researchers, psychologists, designers of multimedia, social media experts, speech writers, speech therapists, actors, media advisers and image consultants. 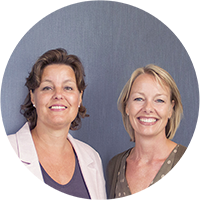 At our office in Bloemendaal we have Ted Baartmans, Maureen Kamoen and Bianca Oudheusden. We would like to meet you in our office in The Netherlands or during our programmes abroad. Ted Baartmans (1956) advises leaders, government officials and (inter) national companies in the field of speech. He studied geography and cultural anthropology at the University of Utrecht. In addition, he studied public administration and government communication at the University of Leiden. At the North Western University in Chicago he studied crisis communication and crisis marketing. Ted is active as speech trainer and leadership coach for The Presentation Group. He specializes in leadership and crisis situations. We offer students a diverse and interesting internship. After you get to know us and our work better, you work along with our training programmes, projects or research. Besides offering you a great work placement, we offer you knowledge, insight and experience. In return we ask for creativity and motivation. In about ten years, over fifty students have done their internship with us. Renske says:’ my internship with The Presentation Group has made me what I am today. When I think back at the last four years, The Presentation Group stands out the most. You do what you do best’. Are you doing a course in communication, psychology, organization, sociology, marketing, public administration or leadership? If so, we would like to get to know you. 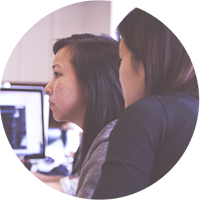 For graduates, we have developed a traineeship. We would love to meet you if you are interested in working with us.